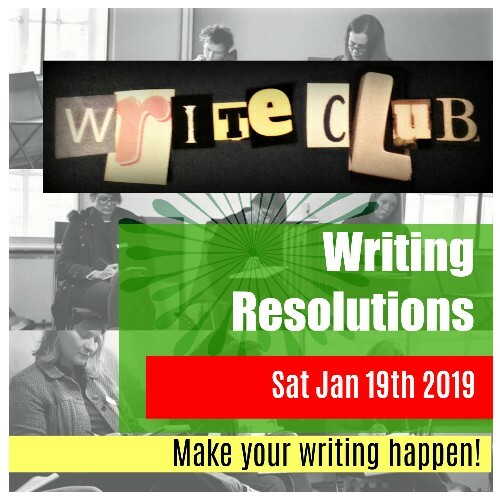 Get set for a fantastic year of writing with this one-day goal setting workshop that's pack with inspiring ideas, great advice and plenty of cheerleading (no pom poms though, sorry!). We'll help you set your writing resolutions for 2019, getting you focused on what it is you really want to write and why. We'll also get you started on some new ideas with exciting stimulus and prompts. And there'll be opportunities for your to share your words with a group of supportive, like-minded folk. Make your writing a priority in 2019. Come and set your resolutions! Booking essential. £65 per person (Gift vouchers available on request). Tickets are non-refundable, except in the unlikely event that we have to cancel. If you find you are unable to make it, let us know and we will contact our mailing list. A printed or electronic version of the ticket is required for entry. Tickets may not be copied or printed more than once. Each ticket is numbered and has a unique QR code. Entry will refused for duplicate tickets.